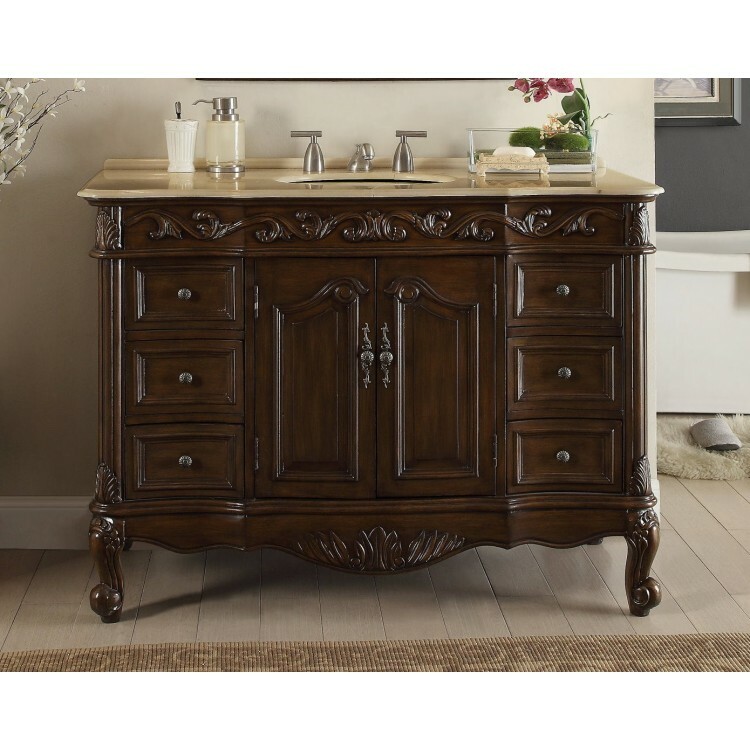 Featuring a larger storage area, the traditional Beckham bathroom sink vanity is a perfect fit for those searching for a sophisticated and practical addition to their bathroom décor. This vanity includes fully-functional drawers and two central doors that open to reveal ample storage space and easy plumbing access. The white marble counter top accompanies the lush finish of the cabinet body, complimenting the carved accents. Imagine the total transformation of your bathroom décor with the addition of the space-enhancing and practical Beckham bathroom sink vanity. The marble countertop is made of the highest quality to be durable and long-lasting, and to resist the effects of prolonged exposure to humid conditions.